A Ring and Ride bus service is provided on the island and taxis are available. 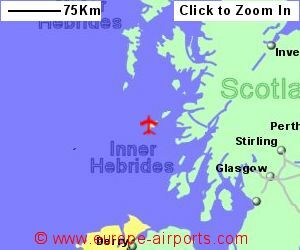 Facilities at Tiree airport include a cafe, and FREE WiFi Internet access. 8,500 passengers made use of Tiree airport in the year 2013, an increase from the previous year. 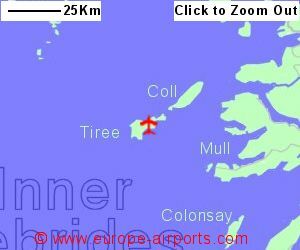 Sorry but we do not have any details of flights from Tiree Airport to the rest of Europe.